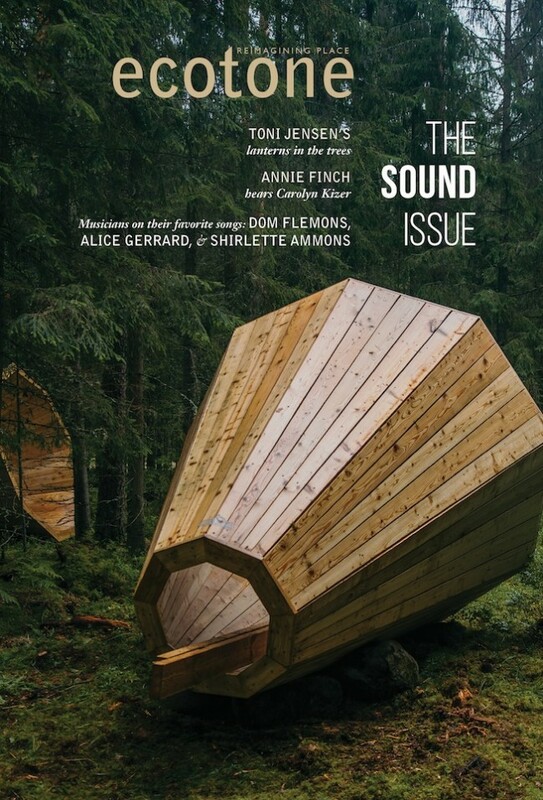 As we were busy putting together this issue devoted to the theme of sound, student architects from the Estonian Academy of Arts were installing the three large-scale megaphones featured on our cover. In a densely forested area of the Pahni Nature Center, near the Latvian border, the wooden structures point into a small clearing and amplify the forest’s sounds—the clatter of rain, songs of birds, and flights of squirrels through rustled branches. The installation was inspired by Valdur Mikita, Estonian semiotician and author of Linguistic Forest, who sought to build a forest library. Along with him, first-year students in the Academy’s Public Forest Library course took to the woods for inspiration when tasked with proposing designs. But as instructor Hannes Praks told the Huffington Post, “The seminar failed utterly, because after half a day of intellectual chatter, a helicopter started to circle the forest and a moment later the woods were filled with police. The reason—a local granny had gone mushroom picking and had got herself lost.” Students joined in the search for the woman, who later returned home of her own accord, complaining only of a stuffy nose.